Pampanga, Philippines — The Members Church of God International launches a new television channel outside the Philippines to broadcast the Gospel across many different states in South and Central America. TV Verdade or Truth TV in English started its test broadcast in December, 2009. The channel banners Bro. Eli’s preaching in English and Portuguese for 24 hours, 7 days a week. Programs in Spanish are also to be aired soon. Bro. Eliseo Soriano announced the big news to MCGI congregations gathered worldwide via live video streaming on the second day of their quarterly International Thanksgiving, December 25-27, 2009. The huge crowd gathered in Google Earth’s biggest land mass in Luzon, the Ang Dating Daan Convention Center in Apalit, Pampanga, cheered as the Presiding Minister showed the TV network’s logo on big LED screens positioned across the Center. Bro. Eli then informed the MCGI brethren that he also wants to set up broadcast of The Old Path in India, where 20.1% of the views on his internationally acclaimed blog, Esoriano.wordpress.com, come from. Bro. Eli was recently hailed the Most Educational to Follow in Mashable.com’s 3rd Annual Open Web Awards: Social Media Edition through his blog. 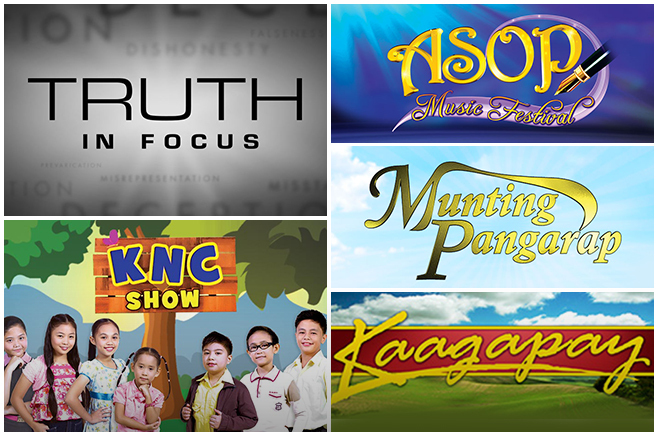 The Old Path, known in the Philippines as Ang Dating Daan — the longest-running religious program on Philippine television — airs more than 15 hours of its programming daily in the Philippines via UNTV and 24/7 worldwide via the Internet through its live streaming websites: Theoldpath.tv and Truthcaster.com. Bro. Eli’s regular Bible Expositions, meanwhile, can also be watched live online through Justin.tv and UStream.tv.